If you explore the dark and myth filled back alleys of the antivaccination movement, you will find a wide variety of myths that try to convince people that vaccinating children is dangerous. I’ve covered and refuted many of the myths, although the vaccine deniers tend to rely on zombie myths that keep returning over and over again, never quite dying. These myths range from outrageous, such as it’s a conspiracy of the government to control population (which I find odd, since the government is barely competent enough to build a post office), to scientific sounding, but ultimately pseudoscientific claims. There are a lot of great websites that debunk many of the myths, and they’re easy to find. One of the most annoying legends of the antivaccination cult is that multiple vaccinations weakens the immune system of the poor baby’s tender physiology. About that immune system? It’s comparatively strong relative to almost every other organ system in the body. One of the big proponents of the alternative vaccination is schedule is Dr. Bob Sears, who pushes the myth is that there are a lot of vaccinations. And tries to sell a lot of nonsense on his website, but that’s a different story. 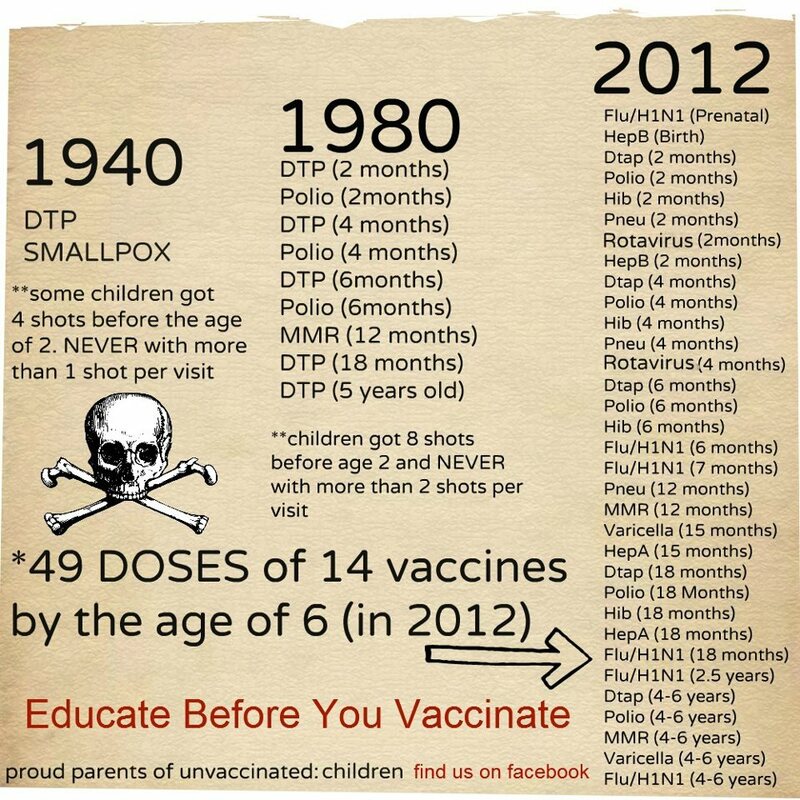 The meme to the left is one that promoted by a lot of vaccine deniers (or again, vaccine delayers) that the number of vaccines has increased over the years. And, yes it has, partially because we have a lot of new vaccines since the 1980’s, but also, we have more scientific evidence that has fine-tuned the vaccine schedule to prevent diseases that can harm. This unscientific myth has it’s basis on a belief that somehow all of these vaccines are going to damage the immune system, because “that’s just too many antigens for the young child’s immune system.” Or the vaccine deniers/delayers invent preposterous claims these excess vaccines “use up” the immune system (yes, use up). Or that because vaccines aren’t natural, they mess up the immune system. I’m sure there are other anti-scientific claims, I may not have looked hard enough. Of course, I’d like to see the evidence for these claims. Anyone? Is there a peer-reviewed paper somewhere that establishes that anyone, a baby, child or adult, other than those with chronic diseases, has an immune system that cannot tolerate the extremely low number of antigens from vaccines? The medical and scientific evidence tell us a completely different story. In each cubic meter of air, there are between 1.6 million and 40 million viruses. In each cubic meter of air, there are between 860,000 and 11 million bacteria. A child inhales about 5 liters of air per minute (or about .005 cubic meters), so a few hundred thousand viruses and bacteria are inhaled every minute every day of the year. And the researchers discovered that many were unknown species of viruses and bacteria, so the immune system has to adapt to them with each breath. Thus, the 25-30 antigens from vaccines (depending on the age of the child and the number of different flu vaccines that they’ve received) is not even a significant number compared to the millions upon millions of viral and bacterial antigens that enter a child’s lungs every day or week. The tiny number of antigens introduced by vaccines barely register on the immune system’s massive and robust power to deal with antigens. The antivaccination cultists fail to realize the incredible power of the immune system. It “memorizes” literally billions, if not a 1000 times more, of antigens. The handful of antigens contained by vaccines are critical because of the virulence and danger to human health of those particular pathogens–the immune system just adds that information into its memory bank, it doesn’t get overwhelmed by it. The complicated and powerful immune system doesn’t get weakened by the “knowledge” from the vaccines. It just moves on to the next antigen, one of the few million that it sees every day. The immune system does not get weaker, unless you have chronic diseases or malnutrition. You can’t make it stronger, but vaccines cause it to adapt to that particular antigen, so that it “remembers” what to do the next time it encounters that antigen. This is easy. Vaccines simply cause the development of adaptive immunity to a pathogen or antigen. This is something that happens a millions of times a day in a healthy child, teenager, and adult. If the vaccine denialists could bring one tiny bit of evidence that vaccines did something different than cause that adaptive immunity, then we could talk. But they can’t. So more evidence that vaccines do not do what vaccine deniers claim they do. And they do precisely what scientists think they do–save lives. So, multiple vaccinations weakens the immune system? Definitely a myth unsupported by real science. Offit PA, Moser CA. The problem with Dr Bob’s alternative vaccine schedule. Pediatrics. 2009 Jan;123(1):e164-9. doi: 10.1542/peds.2008-2189. Review. PubMed PMID: 19117838. Impact factor=5.119. 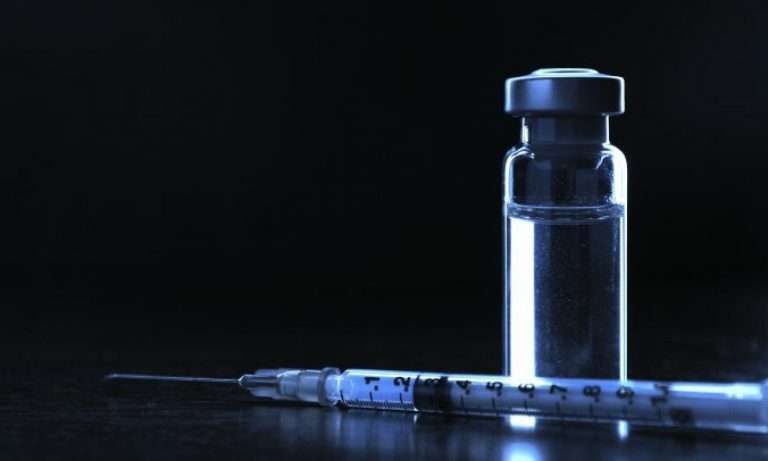 Offit PA, Quarles J, Gerber MA, Hackett CJ, Marcuse EK, Kollman TR, Gellin BG, Landry S. Addressing parents’ concerns: do multiple vaccines overwhelm or weaken the infant’s immune system? Pediatrics. 2002 Jan;109(1):124-9. Review. PubMed PMID: 11773551. Impact factor=5.119. Whon TW, Kim MS, Roh SW, Shin NR, Lee HW, Bae JW. Metagenomic characterization of airborne viral DNA diversity in the near-surface atmosphere. J Virol. 2012 Aug;86(15):8221-31. doi: 10.1128/JVI.00293-12. Epub 2012 May 23. PubMed PMID: 22623790; PubMed Central PMCID: PMC3421691. Impact factor=5.076.